Earlier this month I dug into the analytics data to better understand what devices people are using when visiting GOV.UK. I thought I'd also quickly share headline data on what browsers, operating systems and screen resolutions we've seen over the past month across the whole site. I hope it's useful. We'll publish more detailed browser version breakdown data soon, though I can't resist sharing that Microsoft IE6 usage seems to have halved to 0.4% from 0.8% over the past 12 months. Note: this browser data combines both desktop and mobile versions. No real surprises here, with Android and iOS mobile operating systems eating into Windows desktop share. Again, the story here is the rapid rise of "portrait" smartphone screen resolutions such as 768x1024 at the expense of traditional "landscape" desktop resolutions. Further evidence of the rapid shift to a wider variety of screen sizes as mobile device use takes off. Update 5th Feb: A couple of you asked for more detail on devices, so here's the top 100 smartphones and tablets used on GOV.UK in January 2014. Late to the party, but thanks for detail on devices (5th Feb). Is there any news on the break-down by browser? Quite keen to see the figures for IE7/8, and if possible, a break-down of browsers by OS across all platforms. As this blog has recently been highlighted within the recent 'The year’s most popular posts' round-up, I wondered if there are any plans to update your blog with the last 12 months usage stats? I'd be really interested to see if these trends have continued, or indeed accelerated? I love this detailed analysis, and the fact that you're not just taking a snapshot but monitoring trends. On our UK local authority SaaS product, we are also seeing IE6 dropping to insignificant levels, but we still (in January 2014) get just over 4% on IE7, rather than your 1.5%. I suspect this might be because a higher % of our traffic is essentially intranet - internal to the local authorities. I'll have to see if we can differentiate this in our analysis. This is really useful data for us to compare with what we're seeing here in NZ. Would love to see the brower resolution sizes split by desktop, table and mobile. I can make an educated guess as to which is which. Reading that IE6 usage has halved is music to my ears and i can't help feeling a collective "Smile" within our industry when I see statements like that. With that said I'd like to see less hostility towards IE in general within our community, version 9, 10 and 11 (and beyond) are perfectly capable browsers and dare i say it, "Standards Based".... well almost but the landscape is starting to clear which I think we can all agree is fantastic. Please keep the data coming, more granular breakdown would be appreciated. I'm slightly confused by the numbers? But the bit about devices says: January 2014. Sample size 47m. Sorry - my fault for not being clear enough. The original blog post was written on 22 Jan, and the OS, browser and screen res tables use data for the month up to and including Jan 20th (ie including xmas dip). This gives 36.4m visits. The devices data I added yesterday was for the calendar month of Jan 2014, giving 47m visits. It's odd albeit trendy to lump all versions of iPhone together and split Samsung Galaxy to make Apple look better. Of course mobile usage is growing, because they've just rebuilt and redesigned all of these government websites and the old ones were terrible and generally unusable on mobile! That's a major reason why they did it. It's a trendy self-fulfilling prophecy. The 10% difference in desktop market share risks stating the obvious: people are using mobile as well as desktop these days. But market share is a misleading stat in isolation -- e.g. share can fall even as usage rises. The big PC screens are gaining popularity. It's such a trendy article it will be widely shared and cited. It's ideal for Apple-obsessed Bootup which indeed is where I found it. Thanks for your comment. We'd very much like to be able to break out iPhone and iPad data into more specific iOS and device versions, but we can't get at that level of detail at the moment. We've published the most granular data we possess. 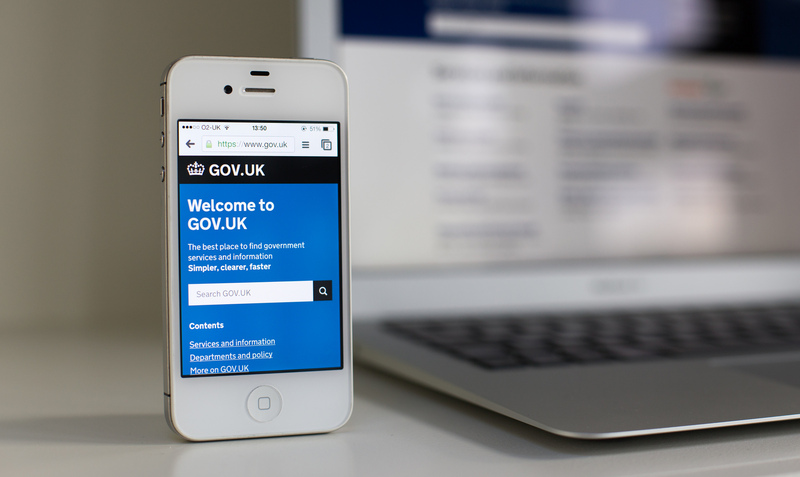 It's a valid point that the usage of mobile increased in Oct 2012 when the responsive GOV.UK replaced the previous stand alone mobile sites - as the previous blog posts say, our mobile traffic doubled from 10% to 20% overnight on the day GOV.UK launched. However, the growth in mobile and tablet use since then has also been very significant, and government services must respond accordingly. Still want to get post published wuth proper data and pretty graphs for browser versions. Quick peek says IE7 was at 1.5% in Jan 2014, down from 2.8% in Jan 2013. IE8 still at 9% in Jan 2014, down from 13% in Jan 2014. Is there anyway to know what the breakdown of form factors are? For example is the iOS usage primarily phone or tablet based. Likewise for Android. I've updated the post to include a top 100 devices used in GOV.UK in Jan 2014, which will hopefully help. iPhone ahead of iPad by a bit. We should hold a party to celebrate the demise of IE6 soon ... when it gets below 0.1%? The performance platform team who run http://gov.uk/performance are very keen to expose GOV.UK data as data. I know they're working through the best ways of doing so sustainably. Interesting to see you solely using Google Analytics - do you use it pretty much out of the box, or have custom events/routing setup? GOV.UK is currently instrumented with Google Analytics. Absolute metric values are not actionable and so we've used a mix of out of the box features and custom variables to build segments and comparative views. Understanding user behaviour trends over time and by different segments; such as parts of the site, different content formats (such as guides or smart answers), referring channels, devices or browsers helps product managers to iterate the many formats and elements of GOV.UK. It's always a moving feast as analytics products improve and GOV.UK itself develops. Thanks very much. Really useful data for all of us developing for a similar user base. And nice to see IE6 declining.